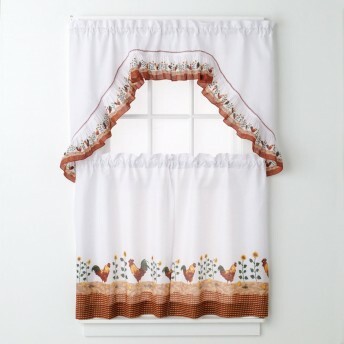 Cheer up your kitchen with this Apples Curtain Set. 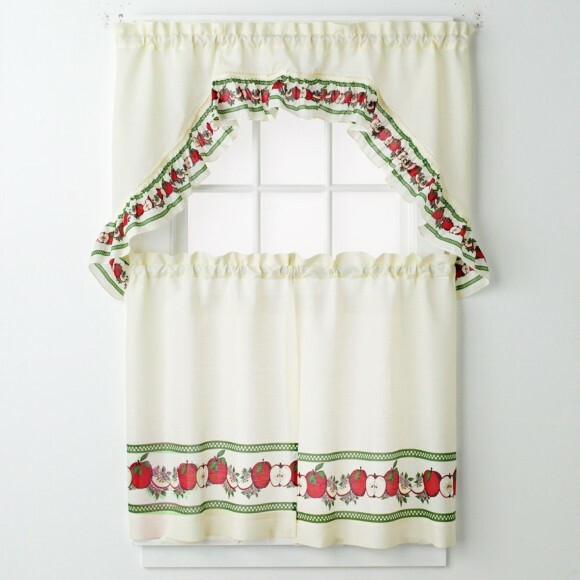 The ruffle tier curtain features apple and floral design and a checkered trim. 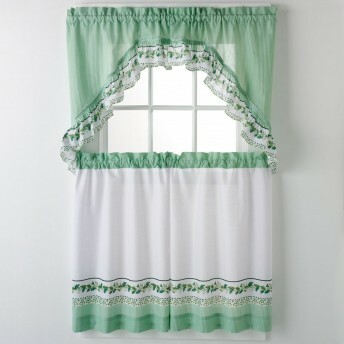 Made of durable poly cotton blend for lasting quality. Standard rod pockets allow for easy installation. Machine washable for easy care.